Jimmy lived in Heathcliffe Avenue and was a JP. 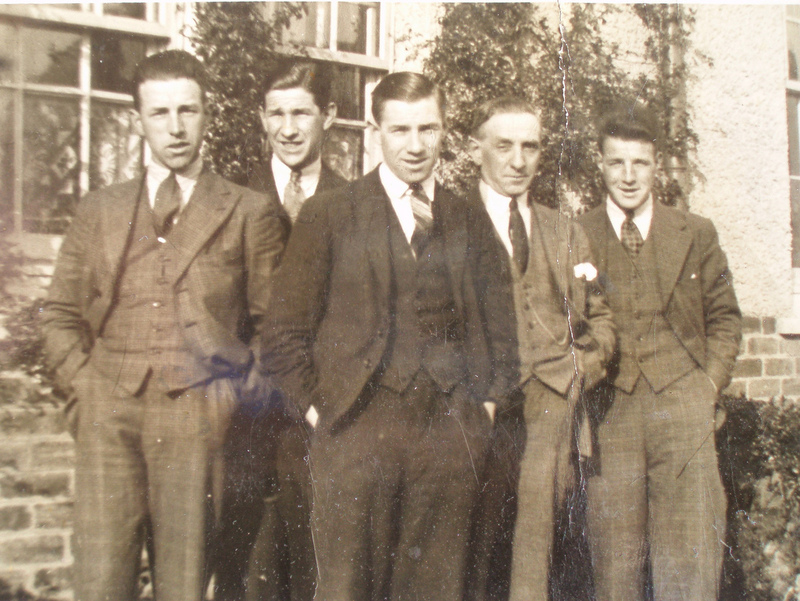 Sanny in the middle is the grandfather of Jim Brown whose photographs of Blantyre are available to be seen on Flickr. The photo was likely taken in Hardie Street, Blantyre. You can read more about the 1930 Auchinraith Colliery disaster here http://blantyreproject.wordpress.com/2014/02/15/the-auchinraith-pit-disaster-1930/ . Finally, here is the newspaper clip that confirms that Wull, DID actually get rescued from that disaster on 30th August 1930.